While Digicel and ECTEL argue about blocking ads on your smartphones smartphone makers and developers have taken matters into their own hands. Ad-blocker are now all the rage on Google Android and Apple iPhones users are pretty much fed up with Ad popping up in their apps as well as News websites. The so-called In-App advertising model as described in In-App Purchasing falters as Freemium In-App Advertising Rises is now in limbo. The business model that made games like Flappy Bird’s Vietnamese Developer Dong Nguyen, founder of Game Development Studio DotGears, land a spot on Amazon TV back in August 2014 is now old hat. As for websites and blogs, ad-blockers will make professional and freelance journalism go extinct as many Blogs and websites depend on ad-revenue to provide free content. Many readers refuse to pay a monthly fee to bypass a content paywall to read, so advertising models that are traffic dependent are literally our bread-and-butter. Still this hasn’t stopped many Smartphone users, including Jamaicans, from opting to use ad-blockers to have their cake and eat it too. This is having a huge impact on the Publishing as well as App community that depend on In-app advertising as a source of revenue. Especially as In-App Purchasing and Premium models began to fall prey to Freemium models as noted in Smartphones and Apps – Freemium Games are No. 1. After all, no one likes to pay for a low quality app and have to go through the hassle to get a 99 cents refund or worse, play a game that requires you to pay-to-play higher levels or gain faster power-ups! But at the same time, no one likes to have their browsing interfered with by annoying pop-up ads that block the screen and have “x” so small to lose the ad that you miss and inadvertently click on the ads, rerouting you to a website you had no intention of visiting. 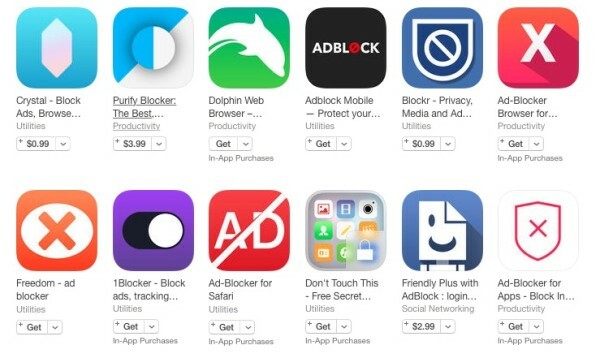 Developers and publishers are beginning to see their profits gradually being eroded as users install these Ad-blockers like 1Blocker, rated as the best ad-blocker for Apple iPhones. Apple iOS 9 has allowed ad-blockers to be installed on their smartphones since September 2015 and has quickly become the most popular and most searched for app in the Apple App store. Apple is looking for their customers even as they spam users of older Apple iPhones with promotional pop-up ads in an attempt to get them to upgrade to the Apple iPhone 6S and 6S Plus . Folks, let the ad-blocker wars begin as the Game developers draw up plans for new strategies to use to combat ad-blockers. Even I, as a writer and publisher of books such as How to Construct Platonic, Archimedean and Stellated Polyhedra as well as a blogger for my blog My Thoughts on Technology and Jamaica, have seen my ad revenue dip precipitously. With more and more persons are opting to block ads on my blog that help me produce the quality content that many of my fan enjoy, publishing has become a lot less profitable. It’s gotten so bad, I’ve had to get really creative with my theme and they type of content that I write about and even reduce the length of my posts just to maintain the traffic levels? Glow-in-the-dark Jamaica Cassava Toto anyone? Switching to writing about stuff that bring in traffic and will get me revenue seems to be working. But its spoiling my blog My Thoughts on Technology and Jamaica as it’s not the intended theme of my blog, which mainly focuses on Alternative energy, Broadcasting and Telecoms. I’m also switching to more paid content to make revenue, as I cannot subsist on ad-revenue alone which has dropped precipitously and threatens to undo the delicate balanced world of bloggers. It’s work in progress and paid promotional content writing, which is on the rise in Jamaica, can only get better as more Jamaicans upgrade to a smartphones and are avoiding avoid the trip to the US$8.99 Jamaica Gleaner paywall to the Jamaica Observer and their uptown themed content. Inadvertently, I’m benefitting from the still slow and steady rise of paid content journalism in Jamaica as marketing people slowly realize the power of bloggers in Jamaica and our huge fanbases! So although ad-blocking might be the cure for the advertising problem that’s sapping your Data plans and making screen tapping a bit more difficult as Digicel claims, they are also killing quality free content, be it from app Developers to Publishers. 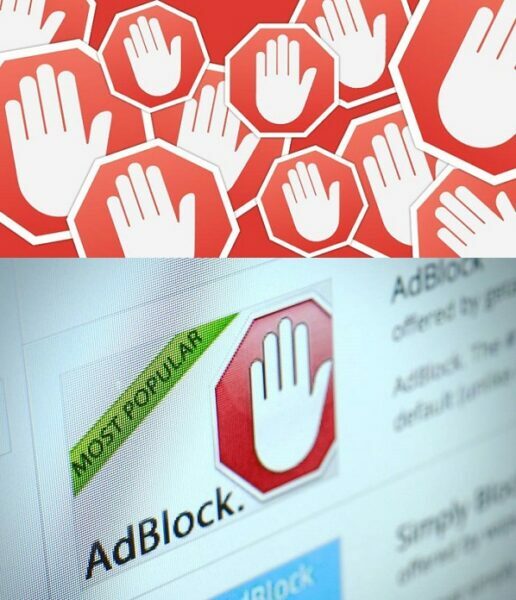 Ironically, ad-blocker installation is an increasing trend globally and will also affect Digicel as well. That is, if they plan to get into the app advertising game themselves as predicted in Why Digicel More may woo Jamaican Developers with Advertising partnerships. Sometimes you have to be careful what you wish for, as albeit ads may be annoying, but they are the lifeblood of blogger and advertisers in Jamaica! Digicel may also be killing their own a future source of income as this plague of ad-blockers threatens to make bloggers and App Developers that use In-App advertising models extinct.